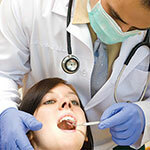 Dr. Long Dental Practice | 8x8, Inc. Dental office manager Cheryl Long understood the importance of securing patients’ information and complying with HIPAA regulations, and turned to 8x8 to ensure total network security. Lots of junk calls, expensive answering services and poor voice quality were just a few of the things that made dental office manager Cheryl Long’s job tough. But the last straw fell when she asked her VoIP provider for a business associate agreement (BAA) to ensure HIPAA compliance and couldn’t get one. 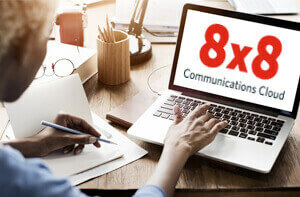 That’s when Cheryl turned to 8x8, a hosted VoIP provider that understands the complexities of HIPAA regulations and network security for medical and dental offices. Dr. Frank Long opened his Leonardtown, Maryland dental practice in 1984. Today the practice has grown to almost 1,000 patients, with Dr. Long’s wife Cheryl overseeing the practice as the office manager. With a limited staff running the office, Cheryl relies heavily on technology to streamline and automate their business processes. For example, she uses a cloud-based patient scheduling software that can be accessed anywhere. However, over the years, finding a phone service that delivers that same kind of quality and convenience has proved challenging. Initially Dr. Long’s office used standard landline phone service from Verizon. Although reliable, the service was somewhat costly—not just in an economic sense, but in terms of wasted time. Cheryl replaced the Verizon landlines with a router-based Sprint phone system. The voice quality was very poor so she also installed a range booster. That helped slightly. But whenever she talked to patients on the phone, they sounded like they were talking through a tin can. Next, Cheryl installed a low-end VoIP phone system from Ooma which gave her improved voice quality and the ability to block junk calls. Everything seemed fine—until she met with her malpractice advisors about complying with the new HIPAA requirements for securing patients’ confidential information. “My advisors told me if a doctor or dentist communicates over the Internet or stores information on the Internet, their data security has to be tighter than a drum,” recalls Cheryl. “That requirement applies to phone calls, faxes, email, voicemail messages and anything else that includes confidential patient information.” In other words, most unified communications services. Her advisors recommended that Cheryl ask Ooma for a BAA to ensure all Internet-based communications in Dr. Long’s office complied with HIPAA’s stringent requirements. But when she approached them, she learned that the VoIP provider could not provide the agreement. 8x8 helped Cheryl avert another crisis when she needed a fax line installed right away. Cheryl hadn’t included fax service in her original 8x8 installation because the office didn’t use fax much anymore and she regarded it as yet another communication channel requiring a BAA. But then she got a call from an oral surgeon’s office. One of Dr. Long’s patients had been referred there, and the surgeon couldn’t treat her unless Dr. Long faxed over a script. Being able to block junk calls is one of Cheryl’s favorite 8x8 features. She simply logs into the system from any web browser using 8x8’s Virtual Office Online, and accesses the Advanced Call Forwarding rules. By creating a call forwarding rule for incoming calls coming from specific telemarketer’s 800, 900 or 407 phones numbers, she is able to route these calls to a busy signal, preventing them from getting through. Cheryl has also come to view the 8x8 system’s mobility features as a “godsend.” Using her cloud-based scheduling software along with the mobile app allows Cheryl to efficiently schedule patient appointments even when she’s at home or away from the office. A Business Associate Agreement is a legal document that a business can provide you with, that documents that the issuing business complies with HIPAA regulations for handling protected health information. You might think that HIPAA, a set of patient privacy regulations, doesn’t affect many companies outside of medical providers and insurance providers. But the definition of companies that must comply has been broadened—a lot. Examples of companies that must comply with HIPAA can include health-care related fields such as elder care, and even personnel departments of companies with health coverage. But what really expanded the enforcement scope of HIPPA was including all of the subcontractors or partners of businesses that significantly touch protected health information are also regulated under HIPAA, expanding the number of covered businesses to hundreds of thousands, if not millions. Agreement In particular, most communications providers must now document their HIPAA compliance to preserve the HIPAA compliance of their customers. (Think of HIPAA compliance as a chain. If there are any links or breaks, a company’s HIPAA compliance can be ruined by third-party providers.) The only safe documentation the communications provider can give you is a Business Associate Agreement certifying the absolute security of their service. So play it safe. Don’t let your unified communications provider torpedo your compliance. Get it in writing, with a Business Associate Agreement. If you think you might need HIPAA-compliant unified communications, go to http://www.8x8.com/Resources/white-papers/HIPAA-Compliance-Business-Phone-Service.aspx. Auto attendant is another standard 8x8 feature that Cheryl now cannot live without. Doctors and office workers no longer worry about missing a call. When they are busy assisting patients and can’t answer the phone, they’re able to rely on the 8x8 Auto Attendant. Cheryl particularly likes how easy it is to customize the 8x8 auto attendant. 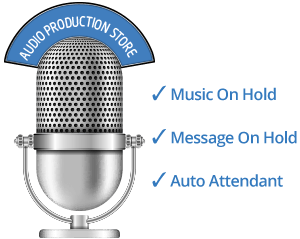 By logging in to 8x8’s web-based administration portal, she can quickly record new greetings and prompts and immediately activate them. While many patients leave voicemail when the office is closed or Cheryl is busy, others do not. Cheryl uses the 8x8 call log to track incoming calls and return calls from patients who don’t leave messages. While Cheryl loves many things about 8x8 unified communications, what stands out for her is the level of trust she now has in her VoIP provider.